Coming into another Hot Summer it is important to remind ourselves of the Dangers of Dehydration and Heat Stress. 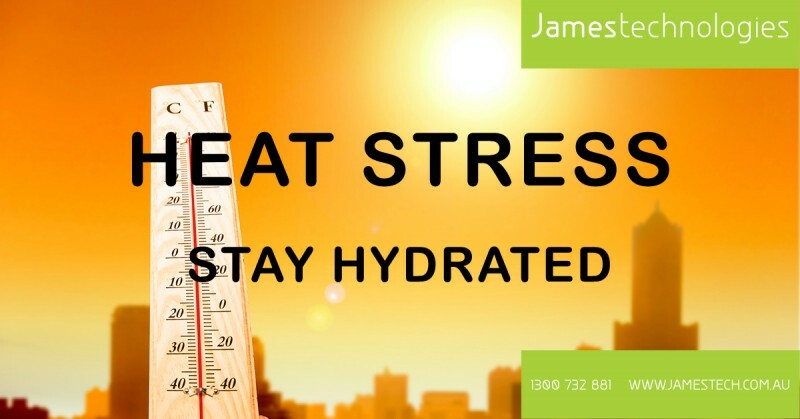 Heat stress occurs when your body is unable to cool itself sufficiently and body temperature rises; when heat is absorbed from the environment faster than the body can get rid of it. painful muscles spasms or cramps. Maintaining adequate hydration is one of the most important strategies to counteract the effects of heat stress. During prolonged work in the heat our body can sweat up to one litre an hour. Unless this fluid is replaced by drinking, progressive dehydration will result. Whether a work or at home, keep yourself well hydrated.